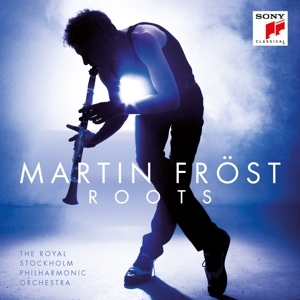 Undoubtedly one of the most outstanding wind instrumentalists of today, Martin Fröst future highlights include debuts with the Royal Concertgebouw Orchester, Orchestre National de France, Detroit Symphony and Washington’s National Symphony Orchestra, Orpheus Chamber, Gewandhaus Orchester Leipzig, Bamberger Symphoniker and NDR Radiophilharmonie Hannover, plus return visits to the Rotterdam Philharmonic and Luzerner Sinfonieorchester. He also returns to the Australian Chamber Orchestra following a substantial tour of Europe with them last season, and embarks on a major European tour with the Amsterdam Sinfonietta performing Weber and Copland in May 2013. Last season Martin Fröst performed with the Wiener Symphoniker, Los Angeles Philharmonic and the Minnesota Orchestra (all under Osmo Vänskä), Gothenburg Symphony Orchestra (Gustavo Dudamel), City of Birmingham Symphony Orchestra and Die Deutsche Kammerphilharmonie Bremen as well as the Tonkünstler, Oslo and Royal Stockholm Philharmonic orchestras. In August 2012 he made his debut at New York’s Mostly Mozart Festival performing Mozart’s Clarinet Concerto under the direction of Louis Langrée. Keen to expand the existing clarinet concerto repertoire, Martin has personally championed Anders Hillborg’s Peacock Tales (which incorporates elements of mine and dance), Kalevi Aho’s Concerto (commissioned for him by the Borletti-Buitoni Trust) and Rolf Martinsson’s Concerto Fantastique. 2012/13 sees him premiere a new concerto by Bent Sørensen with the Netherlands Radio Chamber Orchestra at the Amsterdam Concertgebouw and Cologne’s Philharmonie under Michael Schønwandt. A keen recitalist and chamber musician, Martin Fröst gave five concerts as part of a major residency at Cologne’s Philharmonie in 2010/11 including a dance programme ’Double Points’ with violinist Janine Jansen. In 2011/12 Fröst performed in venues including London’s Wigmore Hall, Concertgebouw, the Laeiszhalle in Hamburg, Berlin’s Konzerthaus and the Vienna Konzerthaus. He has a long-standing association with the Verbier Festival, and this season not only appears at the festival but also with the Verbier Festival Orchestra in Schloss Elmau and on tour around Asia. 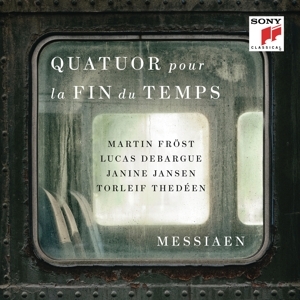 Fröst regularly collaborates with such musicians as Leif Ove Andsnes, Janine Jansen, Julian Rachlin, Thorleif Thedéen, Roland Pöntinen and the Belcea and Apollon Musagète Quartets. Upcoming chamber appearances include performances at the Schubertiade and a series of concerts with Marc-André Hamelin and Anthony Marwood in Boston, San Francisco and London’s Wigmore Hall. Fröst conducted a series of concerts with the Oslo Philharmonic last season, as well as conducting programmes with Royal Stockholm Philharmonic and Norrkoping Symphony orchestras plus Swedish and Stuttgarter Kammerorchester. Future conducting dates include projects with Detroit Symphony and Die Deutsche Kammerphilharmonie Bremen. Martin Fröst is the Artistic Director of the Vinterfest in Mora, and of the International Chamber Music Festival in Stavanger, Norway. He has an extensive discography for BIS, with whom he has an exclusive contract; his recent CD ‘Dances to a Black Pipe’ received substantial critical acclaim.